Riding a Tibet train to Lhasa has become a rather good choice of travelling to Tibet with the completion of the world's highest railway, the Qinghai-Tibet Railway which is also the only railway to Lhasa at present. Taking a train to Tibet is even the top choice for many foreign tourists to Tibet for a Tibet train tour is really so impressive both because of the breathtaking scenery along the Qinghai-Tibet Railway and the railway itself, the blue sky and white clouds, the grasslands with flocks and herds, snow-covered mountains, source of Yangtze River, Hohxil Natural Reserve, etc. Of course, enjoying the high-quality services on the best train in China is also a wonderful experience of travelling to Tibet by train . The Qinghai-Tibet Railway, as the only railway that links Lhasa railway station to the existing rail network of mainland China, is always busy throughout the year. On one hand, the scenery along the railway deserves our time. On the other hand, the Qinghai-Tibet Railway itself is a man-made world wonder. The Tibet Railway creates many world’s firsts: the world’s highest railway, the world’s highest railway station, the world’s longest track on frozen earth, etc. Besides, it is also relatively cheap and convenient to take a train to Lhasa from other inland cities of China. At present, there are direct trains to Tibet from Xining, Beijing, Shanghai, Guangzhou, Chengdu, Chongqing and Lanzhou. Many trains to Tibet beginning from other cities will pass by Xining, Xian, Lanzhou or Golmud. Therefore, not surprisingly, Qinghai-Tibet Railway is so attractive for both domestic and foreign tourists to Tibet. 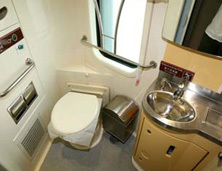 The popularity of Tibet train tour results in a huge demand for Tibet train tickets among tourists. It is very hard for individual travelers to obtain a train ticket to Tibet in the peak season of Tibet tourism. China Tibet Travel has a big annual book from the train ticket office and can help travelers book Tibet train tickets easier. 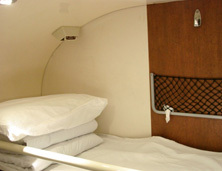 Still, it is quite difficult to guarantee the first-class soft sleeper berth ticket from Beijing, Shanghai and Chengdu. As Beijing, Shanghai and Chengdu are usually the first stop of many foreigners to China and also popular gateway city to Tibet, it might be difficult to get a Tibet train ticket at these cities. Tourists to Tibet can fly to Xining to take a train to Lhasa. We can help you book Tibet train tickets to and from Lhasa. Help you book train tickets for travel to all other cities in China. 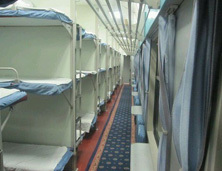 Offer long-distance China tours by train. 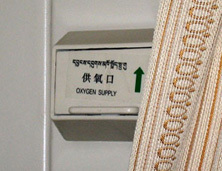 ANSWER any questions you may have about travel on China’s Tibet trains. When you read a ticket, please pay attention to the Chinese character and pinyin after a place name. Directions: north, south, east, and west are printed in pinyin on tickets instead of English, respectively Bei, Nan, Dong, and Xi. For example Beijing South Railway Station will be printed as Beijing Nan ( ) on a ticket (see the second ticket below), Beijing East is showed as Beijing Dong ( ), Beijing West (Beijing Xi, ), and Beijing North (Beijing Bei, ). Please make sure you are going to the correct train station. How to Read a Train Ticket? The best places to start a Qinghai-Tibet train journey are from Beijing, Shanghai, Chengdu, Xining or Guangzhou. We picked out the HOT 5 Tibet train itineraries as following. Select your favorite, check more Tibet train tours or just tell us your trip plan.